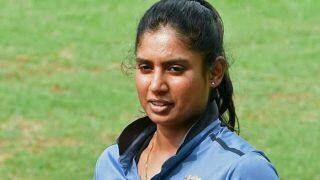 Mithali Raj is the Captain of the Indian Women's Cricket Team for Test and One-Day International (ODI) format. She was born in Jodhpur on 3 December, 1982, to Navy Officer Dorai Raj and mother Leela Raj. Mithali Raj has been playing for 17 years now, having begun as a young player of 17. Mithali Raj is only the second female cricketer to surpass the 5,500 run mark. On July 12, 2017, Mithali Raj became the highest run-getter in women's cricket in ODI format. 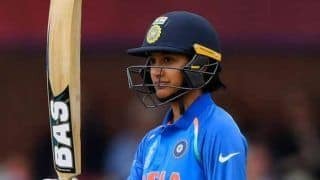 She broke the record in the India vs Australia match in the ICC Women's World Cup 2017, beating the earlier highest female run-getter Charlotte Edwards of the England Women's Cricket Team. The ODI tally of Mithali Raj is now 6,028 runs (until the ICC Women's World Cup 2017). 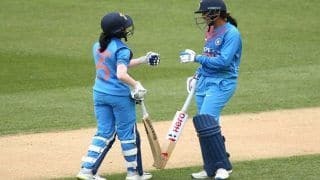 In the India vs Australia ICC Women's World Cup 2017 match, Mithali Raj scored a half-century (50). This is Mithali Raj's 49th ODI fifty and her third 50 of the #WWC17. The batswoman was caught and bowled at 69 (off 114) by Aussie spinner Kristen Beams. Mithali Raj is an Arjuna Award winner as well as a Padma Shri recipient, given by the Government of India. 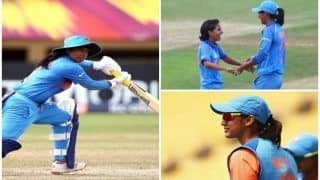 Her brother Mithun Raj is also a cricketer. 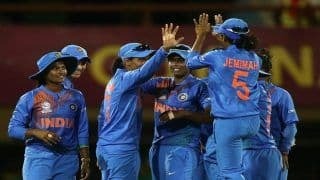 In the ongoing ICC Women's World Cup 2017, Mithali Raj stunned everyone with her performance in the first India vs England match. 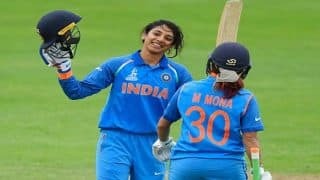 Mithali scored 71 off 73 balls in the match that India won. 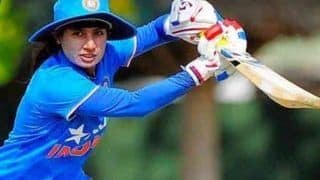 With that ODI 50, Mithali Raj became the only Indian cricketer, male or female, to have scored 7 consecutive ODI half-centuries. She also became the only female international cricketer to achieve the feat. 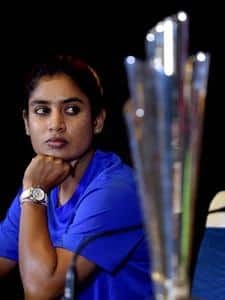 In the tournament, Mithali Raj also became the first female captain who called for a decision review system or DRS in a world cup match that turned out to be in her team's favour. 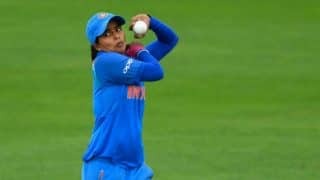 Before going in to bat at the India vs England match for the ICC Women's World Cup 2017, Mithali Raj was a rage on Twitter with a picture and video of her coolly reading a book on the grounds, even as her openers were smashing the ball on the ground to English female bowlers. 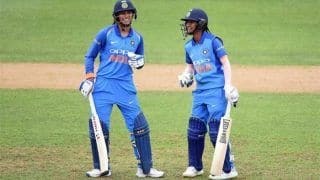 Mithali Raj was named Captain Cool by the ICC and Cricket World Cup handles on Twitter, a nickname of former India Men's Cricket Team Captain Mahendra Singh Dhoni. Mithali later tweeted that she was reading because it was the perfect weather for a leisurely read! 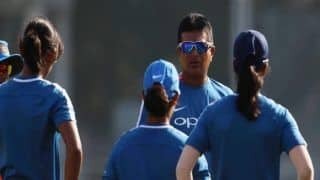 In the second match of India in the ICC Women's World Cup 2017, against West Indies, Mithali Raj was again spotted reading. She explained that reading keeps her calm. We agree. Here's what Mithali Raj has to say about her reading on-field and also her emoji on Twitter. 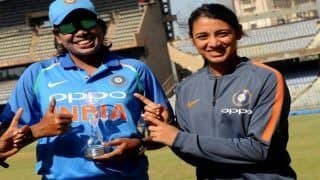 Mithali Raj also recently earned accolades for giving a befitting reply to a reporter who asked her who her favourite male cricketer was. "Do you ask the same question to a male cricketer? Do you ask them who their favourite female cricketer is? 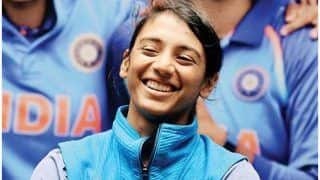 I have always been asked who’s your favourite cricketer but you should ask them who their favourite female cricketer is," she quipped. 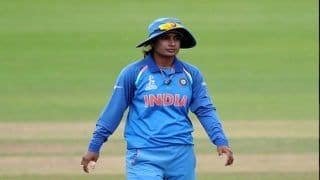 Even as India is gushing over its new favourite Captain, Mithali Raj has announced that she will retire in two years and may not play the next ICC Women's World Cup. 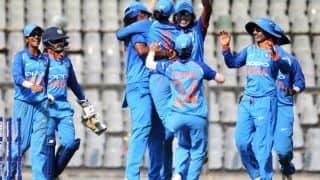 Under the leadership of Mithali Raj in the ICC Women's World Cup 2017, the India Women's Team has managed to be No.1 in the points table, beating England Women, West Indies Women and the arch-rivals Pakistan Women.